Built in Art Noveau style, the Grand Hotel Union opened its doors in 1905. According to the contemporary newspapers it was one of the largest, most modern and sophisticated hotels in the south-eastern part of Europe. 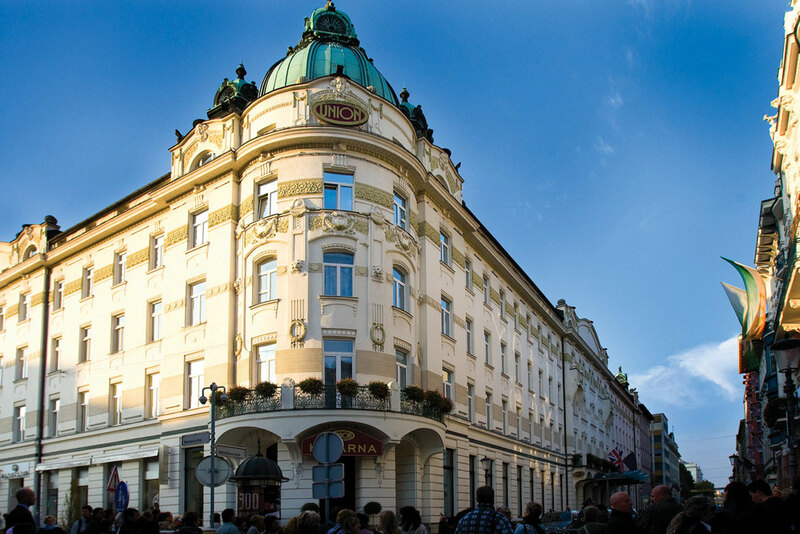 The hotel was designed by renowned architect Josip Vančas, who was well familiar with the contemporary architectural developments in Vienna. He chose to highlight the exterior of the three-story Secession building through ornamental elements and added some more diversity with the rounded and domed corner tower, which is still the southern entrance to the building, specifically the Union Cafe. In addition to the hotel exterior, the architect also focused on adding ornamental elements in the interior, which has wisely been largely preserved in its original form. Even today the greatest pride of Grand Hotel Union remains the Union Hall. In the past it was the place for concerts, dances, celebrations or parties. Meetings were held here, as were rallies and lectures, which have remained a central part of the hotels congress-related services up to the present. 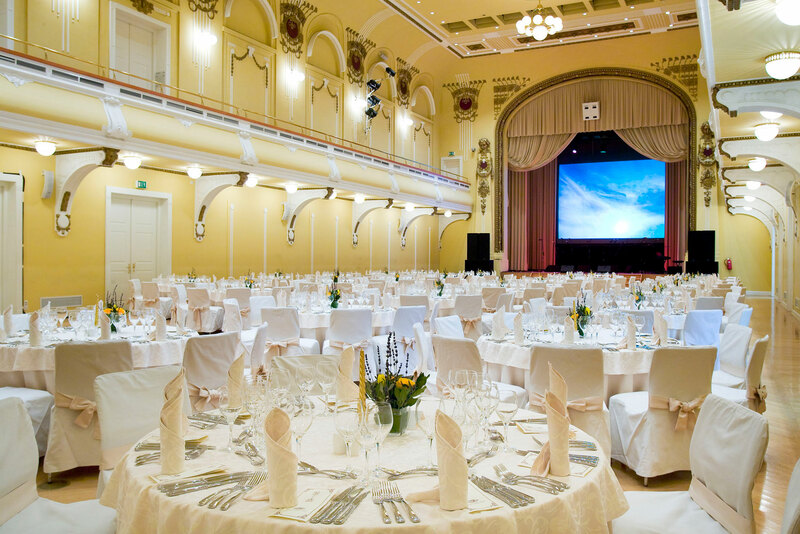 With this magnificent hall, Grand Hotel Union gradually developed into the main cultural and social meeting place in Ljubljana. The Union Hall, which was for the first 30 years a barometer of politics- and culture-related development, a wave of Ljubljana’s brass band music and charms, was in 1934 turned into at the time »the most modern city centre cinema in Ljubljana«. The hall came to shine again in all of its original grandeur in 2002. 19.00-23.00 There is no transfer as the dinner is taking place in one of the conference hotels.